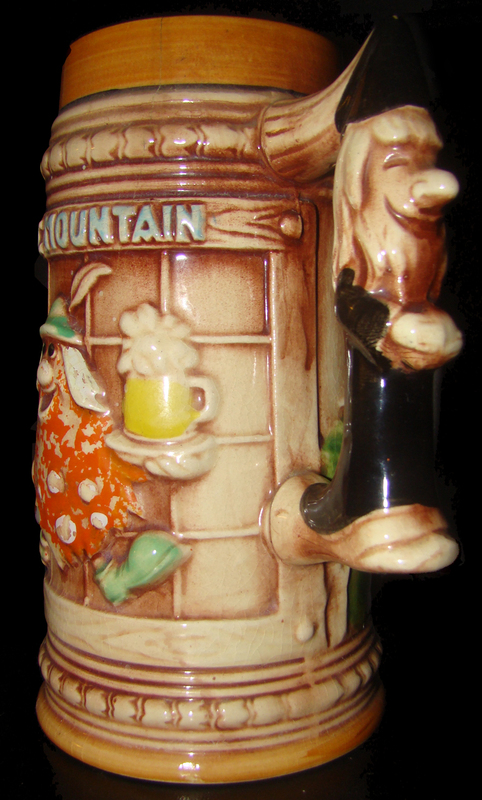 Beer stein from Das Alpenhaus restaurant (built in 1974, later called Mooseburger Lodge), with the Wizard on the handle and Bloop carrying the drinks on the side. Seven inches tall, 3¾ inches wide at the base. Made in Japan. 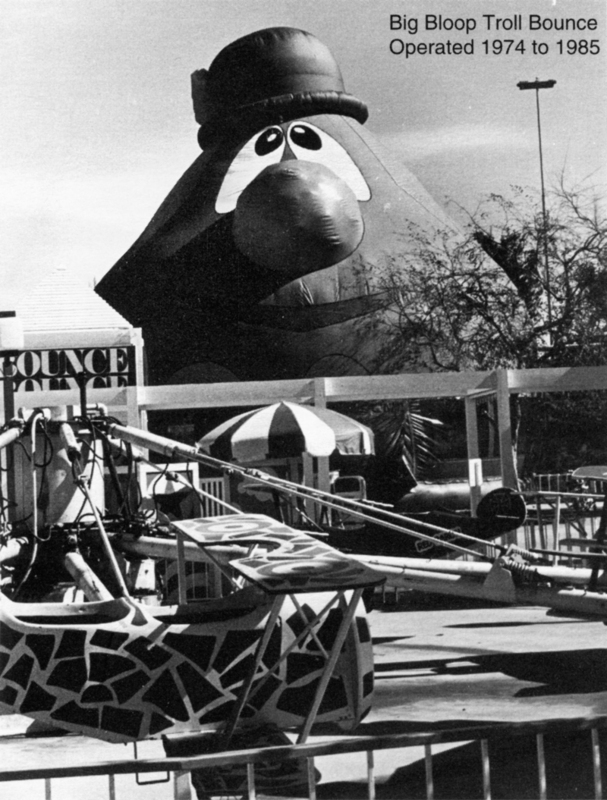 Bugs Bunny and his Looney Tunes cohorts appeared at Magic Mountain in 1971 under special license from Warner Bros. In 1972, the park circumvented the need to pay royalties when it introduced its unique cast of "troll" characters: Bloop, Bleep, King Troll and The Wizard. Costumed park employees greeted guests and posed for photographs; depictions appeared on all manner of merchandise. You might say 17-year-old Debra Winger got her professional acting start at Magic Mountain in 1972 when she was one of the first park employees to be assigned the role of Bleep  to disastrous end (see story below). Onetime park employee Sandy Renshaw (circa 1981) remembers that twin brothers John and Fred Svendsen played The Wizard; they were six-foot-seven. In 1985 the characters rode off into the sunset as Bugs and friends returned, this time on Time Warner's own initiative as the media company began to invest heavily in Six Flags (known for a time as "Six Flags, a Time Warner Entertainment Company").